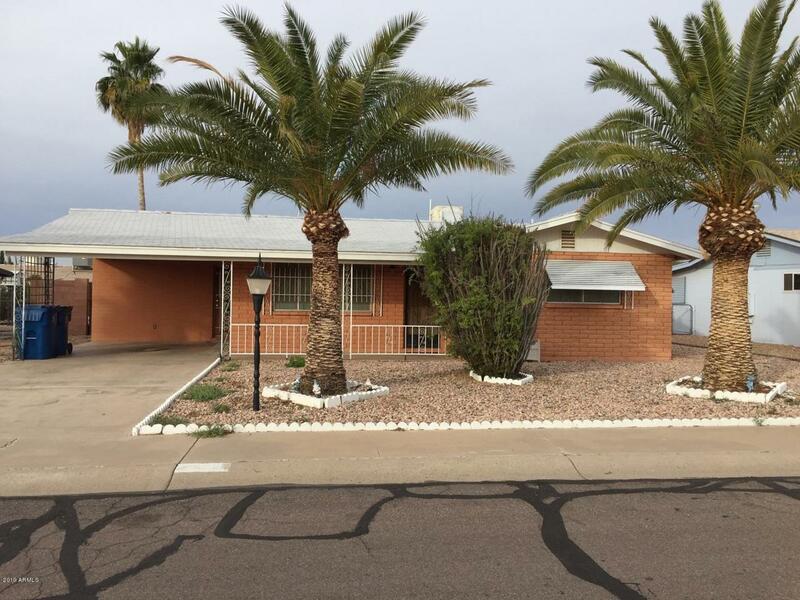 Great 2 bedroom 2 bath home with added on Arizona Room in the Adult Community of Apache Villas Three. Large laundry room with attached walk in storage closet, living room plus additional family room area, covered patio and two storage buildings. Home has many storage closets and cabinets. Adult community amenities are optional for $250.00 per year. Low HOA. This home is a must see property. Cross Street 16th Ave And Main Dr.